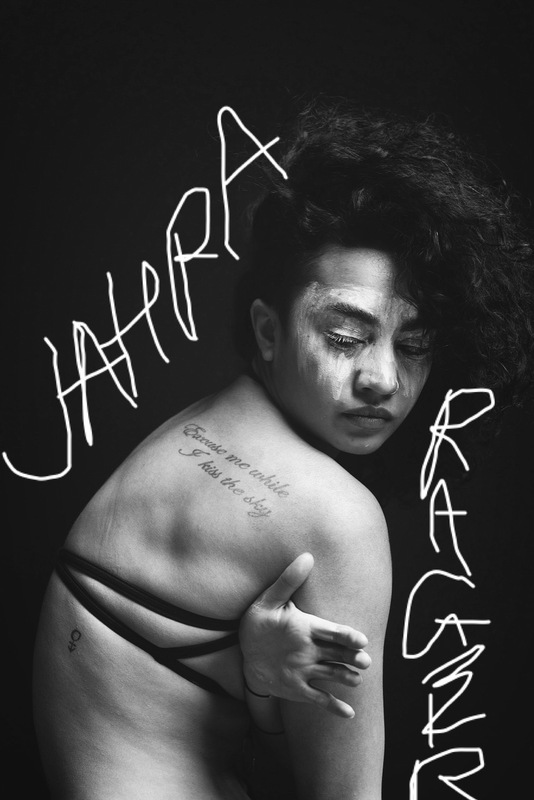 Jahra ‘Rager’ Wasasala is a talented contemporary dancer, skilled choreographer and a unique spoken word artist. She is based in Central Auckland and is of Pacific/European descent. At age 21 years, she has successfully completed her technical and choreographic training at Unitec in 2012 graduating with a Bachelor of Performing and Screen Arts, Majoring in Contemporary Dance. 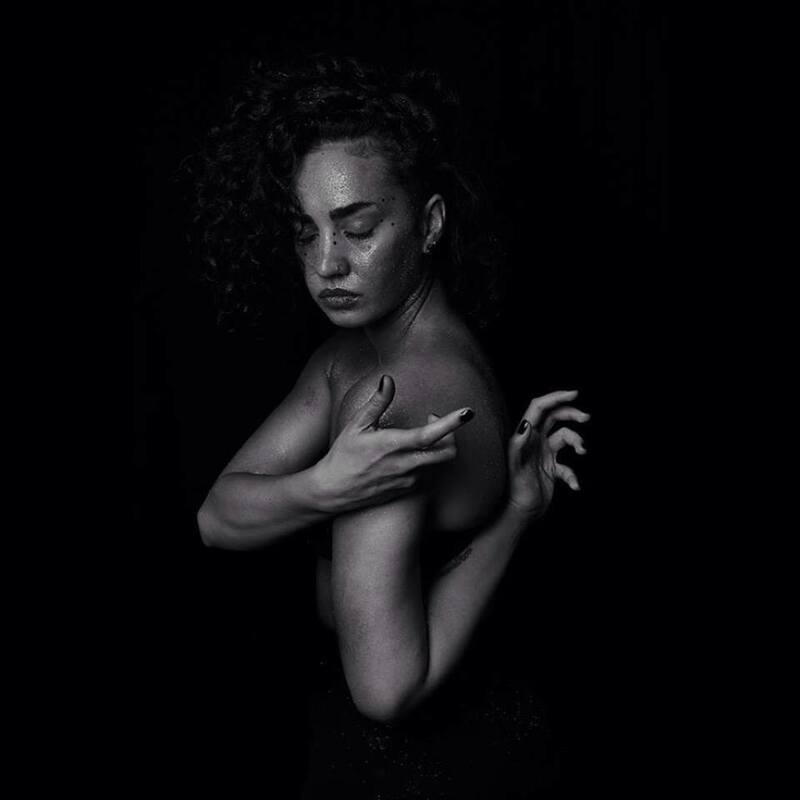 During her three year training at Unitec, Jahra worked with and performed for innovative New Zealand choreographers, whilst choreographing/collaborating and performing in over eight contemporary dance works inside and outside of Unitec. 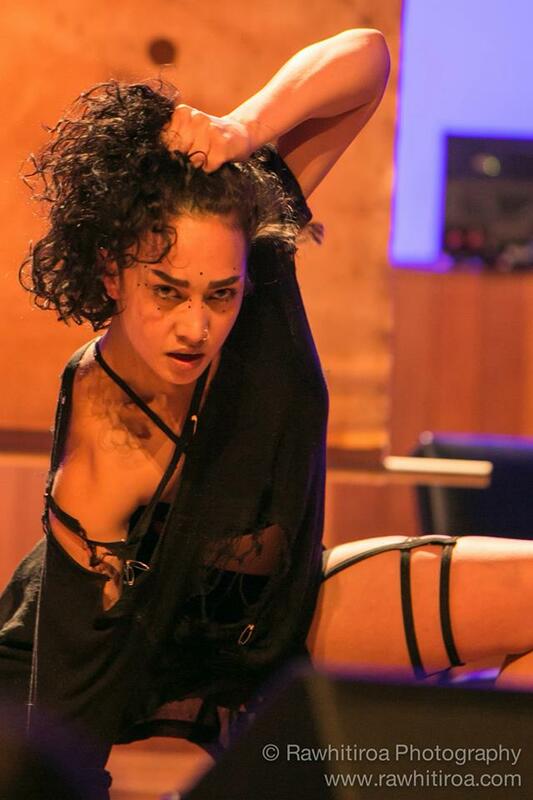 This year, she was involved in the Short+Sweet Dance Festival which showcased New Zealand’s hottest emerging and established dance practitioners. As a spoken word artist, Jahra intertwines the medium with fast paced and dynamic movement. To date, she has qualified and was placed in various slam poetry competitions such as Poetry Idol, Rising Voices, Going West and represented Auckland at the National Poetry Slam held in Wellington. She pours her soul and spirit into her work, and performs and collaborates regularly with Auckland based live poetry group ‘DECOLONISE’. I am honoured and humbled to share my interview with Jahra. She is a distinctive young artist with a future filled with promise. She fearlessly expresses herself in her artform and bares the passion that is rooted within her soul. She is indeed an inspiration. Enjoy the interview! (Please note: MP = Maryanne Pale and JR = Jahra Rager). MP: I love your name, please explain the background of it. JR: Throughout my life so far, my first name has evolved from meaning nothing, to meaning everything, to meaning something else. It’s constantly changing and shifting, never static. A while ago I learnt that in one part of the world it means ‘vessel’. Recently, another artist told me that in another part of the world it means ‘to be open/openly.’ Right now, I identify with these: ‘open vessel’. MP: How has your cultural background informed your artistry? JR: In terms of culture that relates to ethnicity, it’s more of a lack of. I’ve had no direct connection to cultural practices or traditions due to the absence of my father. My mother gave me a certain kind of freedom and foundation that enabled me to meet and manifest my own cultural identity in my own way, which is why I have become this kind of (weird) hybrid being. Everything I’m not made me everything I am. MP: Who were the people that inspired you or influenced you in the lead up to where you are creatively today? JR: I think I would have to have a flesh conversation with you to really get a good idea of who specifically inspires and influences me, because there are SO many who do. But one artist who was a catalyst for my journey is Jimi Hendrix. I have an infinite amount of love for him, and I hold his name very close to me. But in short, I am inspired, influenced and a part of all who I have, and will, come into contact with, and who I experience. MP: What is your philosophy about life at this point of time? MP: What are the experiences that you have had which helped shape your artistry? JR: There have been SO many. But I think being taught to be awake, open and aware of everything and everyone has been key. Learning about different mediums/experiences/people allows me to develop my own sense of artistry. MP: In 2012, you graduated from Unitec with a Bachelor of Performing and Screen Arts, Majoring in Contemporary Dance. How has this qualification contributed to your creative journey? JR: More than a paper qualification this experience has taught me invaluable things about my creativity, exposed me to ideas/works/people that I wouldn’t have been exposed to otherwise, challenged and pushed me holistically, given me the tools that I needed to pursue my vision and what I love, and it has opened another universe and network for me to learn and grow from. The tutors teaching and who have taught there are the backbone of that programme. Through the positive and negative experiences in that course, I have maintained the hunger that I entered with, but I have left with the tools and knowledge that allow me to know how to hunt. Gratitude. MP: What drives you to want to create/write/dance/perform? JR: Certain experiences in my early life ‘emptied’ me in a way that has put me in this state that gives me an extreme kind of sensitivity to the experiences of others. This extreme wordly sensitivity or openness allows me to see external pain internally, or feel another’s situation as my own (which I feel is a reason why this generation’s mantra of connection through disconnection can at times be so damaging). The worldly, the earth, and the experiences, history and future of the people is what drives me. MP: The last time I saw you, you were on stage performing for the Short+Sweet Dance Festival which was held at the Herald Theatre in the City around April of this year. Your performance fused spoken word with contemporary dance which is the first that I have seen. It was a riveting performance that was purely captivating. I’m so glad that I was there. Can you please explain your creative process (planning, vision and performance) behind performances like this one? JR: Gratitude, thank-you. Again, this is a conversation for the flesh! Haha. Firstly, for me, it’s important to stay in a constant state of creative openness. Staying ready and awake. Anything I ‘create’ (I say ‘create’ because I believe I channel creativity from a place higher than myself, rather than create anything from my own hands), is usually response work. I respond creatively to what I see. I then research the subject. A lot. And I reach the point of obsession. Before or after this I will usually receive a strong visual/image. It may be of a set, a visual of myself or others on stage, audio through colour, shape, movement, costume, words, etc, or a pre-existing image from the issue I am responding to. I then begin the process to work towards this visual, and I draw from my tools, creativity and experiences to find suitable elements to support the visual and the message. I create the work around that. There are also many peers, family and mentors I involve in this process that challenge and support the work. I am never truly solo in creativity; my world is one big collaboration. Then I allow the work to breathe and become its own entity. I constantly feed it and give it the respect and space it needs to be. This is also a practice I have had to learn that helps me to protect myself holistically from the usual darkness or intensity of the subject matter. In prep for performance, I rehearse aggressively, surround myself with ideas/work/people that inspire and drive me, and then I physically ‘prepare my body for war’. The performance itself is where my universe feels completely connected, and I feel like I am serving my purpose of being a vessel for a message that is bigger than me. But my creative process is always evolving, growing and being challenged. MP: What have you been up to since the Short+Sweet Dance Festival? JR: The main work that has been a milestone for me this year was making and performing my contemporary dance/spoken word solo ‘27/MAN/MADE/HEAVEN’ in the poetry slam ‘Rising Voices’ and in the show ‘FRESH’ in Tempo Dance Festival this year. This was incredibly important for me, and something I have been moving towards for a long time. I have been very busy this year, which I am grateful for, so I couldn’t list everything! But I have been constantly moving between projects within dance and poetry which I do regular updates and posts about on my various pages and blogs. MP: With 2013 drawing to an end, what are some of the exciting things that you have in store for 2014? Keep an eye and an ear out! MP: Take us back to the very first moment that you can remember when you knew that this is what you wanted to do. Please explain how this point of realisation came to fruition. JR: Internally I always knew I was going to do something creative. Especially dance. That was instinctual and dance was my first language. It taught me a way to speak before I learnt how to write. But my first memory of an external affirmation from when I was very young was Janet Jackson. Because my mum was a solo parent of four kids, she used Janet Jackson’s music, videos, documentaries and concerts to keep me entertained and distracted. Watching an incredible artist and woman of colour like Janet on VHS and then seeing her perform live was so important. For the first time on TV I saw someone I could visually identify with and be inspired by. Janet is everything. I am also very grateful to my mum for exposing me to things like this. MP: Given that life has unforeseeable twists and turns, please describe what has helped you to overcome any difficulties or obstacles that you might have encountered. JR: Something that I have tried to embody this year is that through everything I have experienced, and everything I am experiencing, is that GRATITUDE has to be at the core of it all, regardless of positivity or negativity. Gratitude gives way to openness. Openness gives way to understanding. Understanding gives way to experience. Experience gives way to growth. Growth gives way to love. MP: What is your advice for youth who might be interested in pursuing a path in contemporary dance, performing arts and spoken word? JR: You are loved. Be open. Listen. Know our roots. Know your voice is necessary. Surround yourself with people who foster your passion. Become obsessed with what you do. Turn your creativity into a lifestyle. Create constantly. Sharpen your tools constantly. Sharpen your fangs unapologetically. Equip yourself with the skills and knowledge you need. Place value on spirit before money. Understand your relationship with money. Understand the difference between the world and the earth. Be fearless, especially when you’re afraid. Fight for yourself and others. Always for others. Let yourself sleep. Give yourself time. Give yourself love. Give yourself patience. Become connected to your body, to the body of the earth and of its history. Learn from negativity. Move towards light. Strive for excellence within truth. Serve the work. Stay hungry. Learn how to hunt. Remember why you started. Give gratitude. MP: Is there anything else that you would like to add? JR: Thank you so much sis! To whoever reads this, thank-you for experiencing a part of me. I hope one day I can experience you in return. CONNECT WITH JAHRA AND SEE HER IN ACTION! Read this at work this morning and ALMOST cried. I look up to this woman so much and there is no one in the world that could be JAHRA but JAHRA.